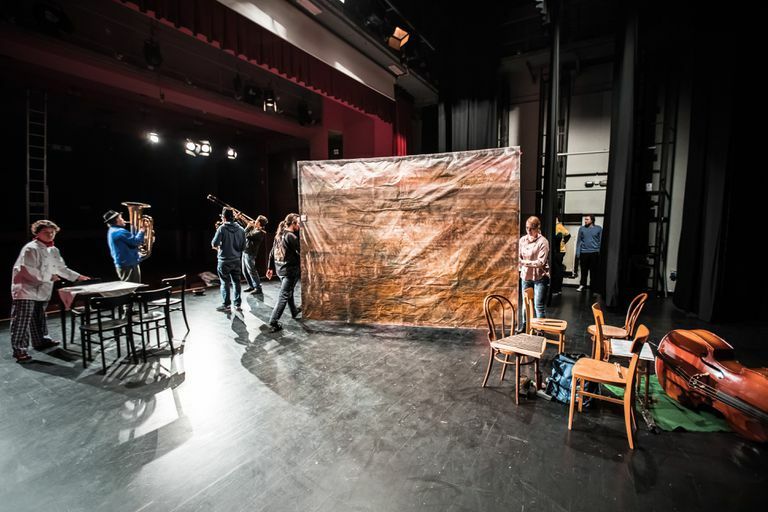 There are hundreds of exciting new apps coming out each day—which is especially good news for people in theater tech, who could always use some extra help when it comes to stage management. If you spend your days corralling actors, scheduling and keeping track of props, digital tools will help you save time and stay on track. Barbizon's little flip-book is the lighting technician's bible. Now, it's available as an app—and best of all, it's free. With the Barbizon Electrician's Handbook App, Barbizon Lighting Company provides entertainment techs with all the information they need, even on the go. Wondering which XLR connector you need for a particular power cable? Which gel filters to use to blanket your actors in soft blue light? All the answers are here. Navigating the world of theater tech can be difficult if you don't know the vocabulary. eSET is a glossary of over 2000 industry terms covering all aspects of production, from set dressing to sound effects. The app makes it easy for users to learn the unique language and terms of the performing arts—great for newcomers and anyone who wants to improve their knowledge. GenieLux is a simple yet powerful little app that helps users find the exact model of lighting, audio, video, or other production gear they need at a moment's notice, no matter where they are. The app searches the accessible inventory of local vendors for rent or purchase, returning a list of results based on the user's current GPS location (or another chosen location). Pocket Call Sheet enables anyone to create powerful, industry-standard digital call sheets for multiple productions, eliminating the need for physical production offices. With Pocket Call Sheet, it’s possible to schedule your production even on the road, distributing schedules and requirements to cast and crew via mobile technology and the power of the internet. The app even enables the line producer and assistant directors to sign off on call sheets from their own devices as well. Sheets can be emailed in either PDF or HTML format, reducing needless copying and printing. Rehearsal 2 is a powerful app that enables cast and crew to organize their scripts for auditions and on set. Rehearsal 2 has been used by actors on shows such as "Heroes," "Lost," "CSI," and more. The app allows users to break down scripts into scenes, create reports, track continuity, and even plan blocking, shots, and storyboards. The app also includes some nice extras for voice performers, enabling them to audition no matter where they are, and to email their auditions across the globe as MP3s. This app offers a powerful and comprehensive suite of stage management utilities. Valuable features include a show timer, databases for marks and spikes, production checklists, prop lists and more. StageHand is an app allowing for simple DIP switch and light beam calculations for stagehands, crew members, and others in stage tech. The most recent update includes new tools and reference materials, including a color calculator, pin outs, a watts to amps converter, and more. Stage Write is one of the most expensive apps on the list, but it offers a fair number of bells and whistles, and has been used in a number of Broadway shows and national tours. The app enables performers to easily document choreography, spacing, traffic patterns, and movements for theatrical events and productions, as well as cheerleading and marching band formations. The app also allows users to create dynamic spacing charts and track the complex movements of all the elements of a production, from staging and blocking to choreography. This app helps users save time on stage carpentry projects by generating cut-lists and diagrams for set pieces. The app also includes calculators to help with carpentry tasks. 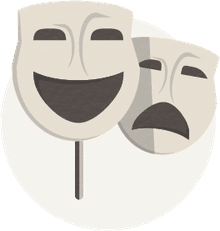 Originally designed by a stage manager with performers in mind, Theater Blocking is an app that allows users to block their theater rehearsals or performances simply, even on the phone. Features include several stage layout options and multiple color selections, along with the ability to move forward as well as backward between blockings.